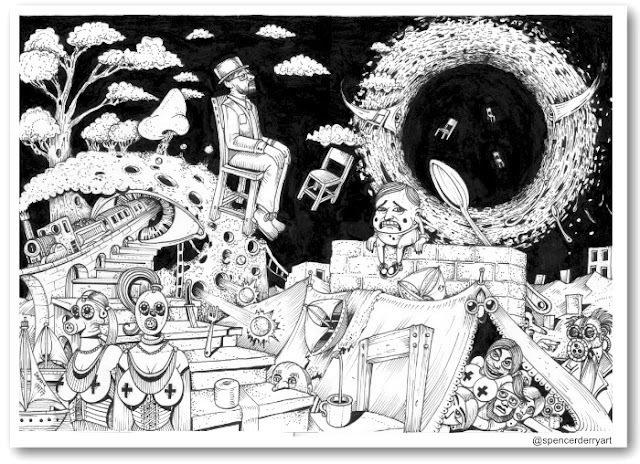 Original Black and White hand drawn surrealistic artwork with felt pen on paper. Illustrative, Surreal, Macabre Art. Original Drawing A3: 42 x 29.7cm 220 gsm white paper (not framed) Media: Ink and Acrylic. Signed and Dated by Artist Spencer J. Derry in 2018.